Two Turkey International Airport Set New Records. 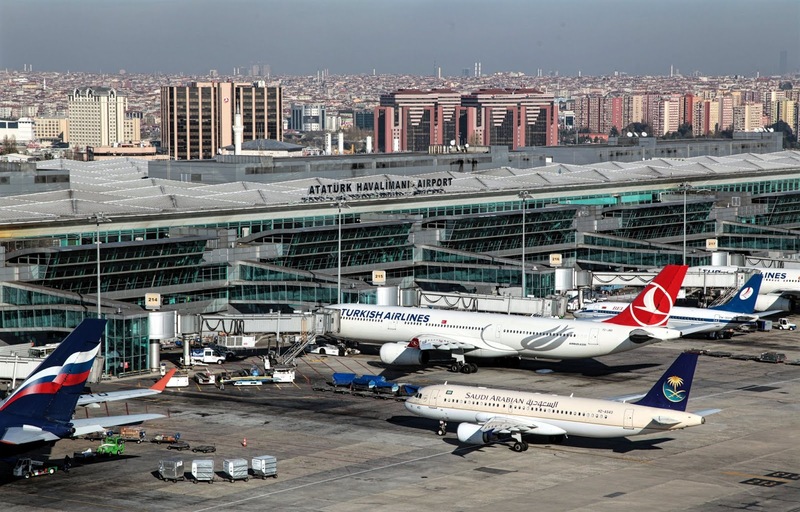 The number of passengers using the airports of Atatürk and Sabiha Gökçen in the first four months of this year increased by 4.8 million compared to the same period last year, reaching 32.2 million. According to information compiled from the data of the Directorate General of State Airports Authority (DHMİ), the number of passengers and flights at the two Istanbul airports in January, February, March and April increased compared to the same period in 2017. Some 21.5 million passengers used Ataturk airport in the first 4 months of this year, including 6.3 million in domestic flights and 15.2 million in international flights. At the Sabiha Gökçen airport, on the other hand, the number of passengers who arrived and departed in January, February, March and April was 10.7 million, with 7.2 million passengers on domestic flights and 3.5 million on international flights. The number of passengers received at these two airports this year was 32.2 million. At the airports of Atatürk and Sabiha Gökçen, while the number of passengers who arrived and departed was 27.4 million in the first four months of 2017, there was an increase of 4.8 million passengers in the same period of this year . In January, February, March and April of this year, 148,128 flights were carried out at the Atatürk airport, 44,279 domestic flights and 103,849 international flights. The number of aircraft using the Sabiha Gökçen Airport was 46,487 on national routes and 26,131 on international routes, a total of 72,618 aircraft in the first four months of the year. A total of 205,659 aircraft landed or left the two airports in Istanbul in the first four months of last year.